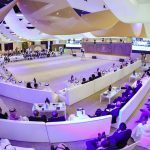 More than 200 senior government officials, diplomats, consuls, business owners and investors have met at the Sharjah Economic Ramadan Majlis to discuss the essential role of incentives in developing the economy and attracting local, national and global investment. Organised by the Sharjah Investment and Development Authority (Shurooq), in collaboration with the Sharjah Chamber of Commerce and Industry (SCCI) and Sharjah FDI Office (Invest in Sharjah), the fourth edition of the event, titled ‘Economic incentives for accelerating business growth’, highlighted the legal, economic and logistical frameworks needed to encourage domestic enterprises as well as multinational corporations to either enter or expand their operations in the UAE in general and Sharjah in particular. Held at Al Jawaher Reception and Convention Centre (JRCC), the session was attended by His Excellency Mohammed Ahmed bin Abdul Aziz Al Shehhi, Under-Secretary for Economic Affairs at the Ministry of Economy, His Excellency Abdullah bin Ahmed Al Saleh, Undersecretary of the Ministry of Economy for Foreign Trade, His Excellency Humaid Bin Butti, Assistant Undersecretary for the Corporate Sector at the Ministry of Economy, and Sheikh Fahim bin Sultan Al Qasimi, Chairman of the Department of Government Relations. 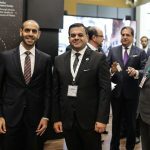 Also attending were HE Abdullah Salem Al Tarifi, Chairman of the Board of Sharjah Social Security Fund, HE Dr. Khalid Omar Al Midfa, Chairman of Sharjah Media City (Shams), HE Marwan bin Jassim Al Sarkal, Chairman of Shurooq, HE Waleed Bu Khatir, Deputy Chairman of SCCI, HE Khalid Bin Butti Al Hajri, Director-General of the SCCI, HE Hussein Al Mahmoudi, CEO of the Sharjah Research, Technology and Innovation Park, and Mohammed Al Musharrak, CEO of Invest in Sharjah. 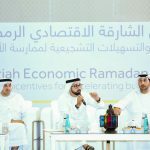 The participants discussed the importance of implementing economic flexibility strategies to encourage capital for business partnerships based on a set of laws that attract foreign investment and increase capital inflows. 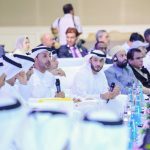 Favourable investment legislation for companies and the practical mechanisms and services offered by the UAE and Sharjah to facilitate growth are widely accepted as among the greatest incentives for overseas investors. 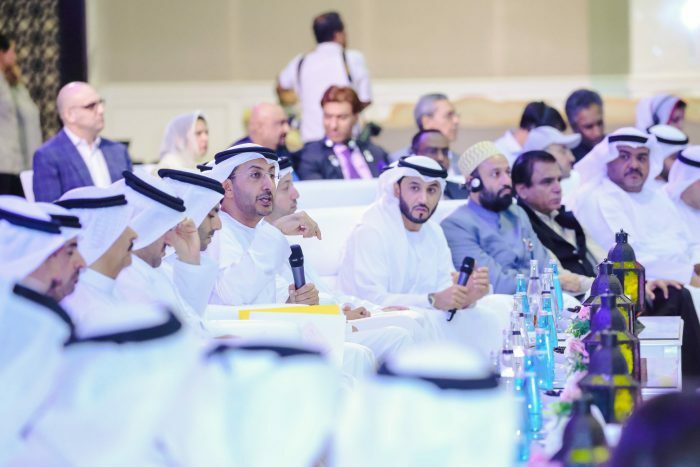 The panel referred to the importance of the new investment and visa rules issued by the UAE Cabinet chaired by His Highness Sheikh Mohammed bin Rashid Al Maktoum, Vice President and Prime Minister of the UAE and Ruler of Dubai. 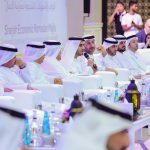 The cabinet announced sweeping reforms to allow 100% foreign ownership in companies and 10-year residence visas for certain skilled and creative professionals in a move that will reinforce the UAE’s position as a top destination for international investors and global talent. 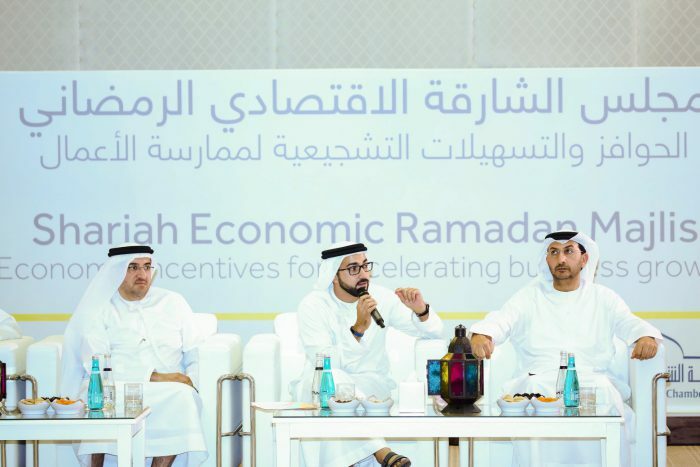 The organising of the Ramadan economic Majlis this year coincided with the new rules, reflecting the harmony of government decisions and its strategy to boost the nation’s economic climate. 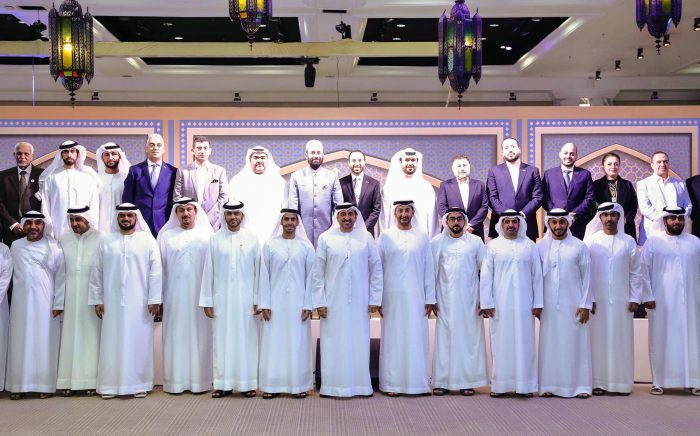 HE Abdullah Al Saleh praised the legislative systems embraced by the UAE in order to strengthen the economic climate and ensure that the UAE will continue to be ranked at the top of global competitiveness indicators in different economic sectors. 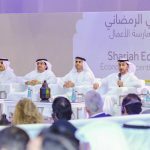 Al Saleh also commended the economic legislation and package of facilities adopted by the Emirate of Sharjah to cement its economic position. 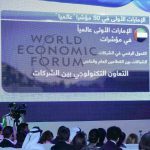 According to the Global Competitiveness Index 2017-2018, a report that was highlighted during the session, the UAE has been ranked first globally in 50 indices covering vital community and service sectors. 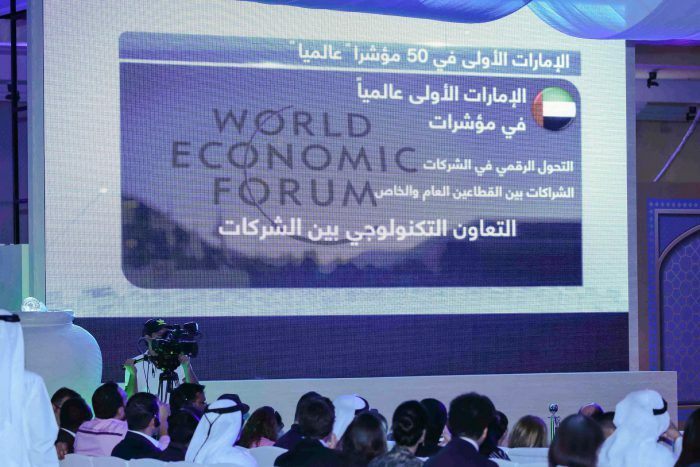 The UAE led the world in various rankings including the quality of government decisions, the government’s ability to adapt to change, effectiveness of government spending, lack of labour disputes, development and application of technology, the quality of tourism infrastructure, gender equality, tolerance with foreigners and ownership rights, corporate digitisation and technological cooperation, among others. 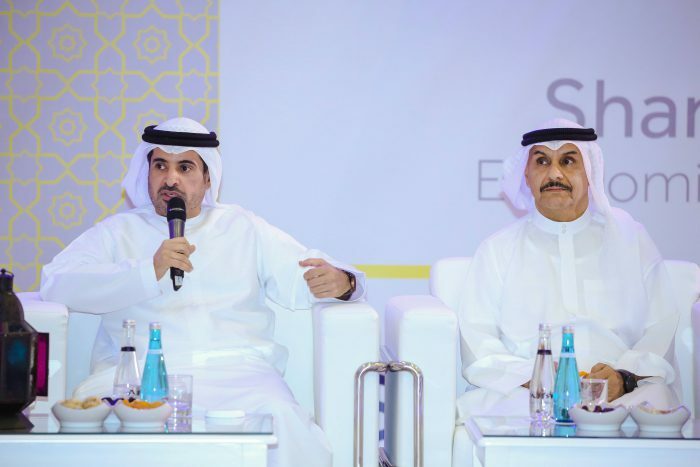 Sheikh Fahim Al Qasimi underlined the importance of the proactive economic plans and laws to the country’s growth. 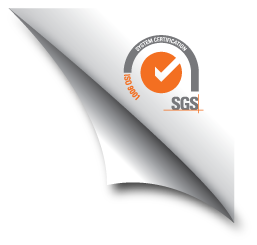 “The drawing up of sound policies depends primarily on the ability to provide digital information to various government departments and agencies, investors and entrepreneurs. This helps to reinforce the UAE's efforts to lead economic development, continue to grow and achieve further progress. He underlined efforts to digitise 90% of government data and share it with various entities through a central mechanism, while offering investors the opportunity to access the information, making it easier to attract businesses to Sharjah from across the world. 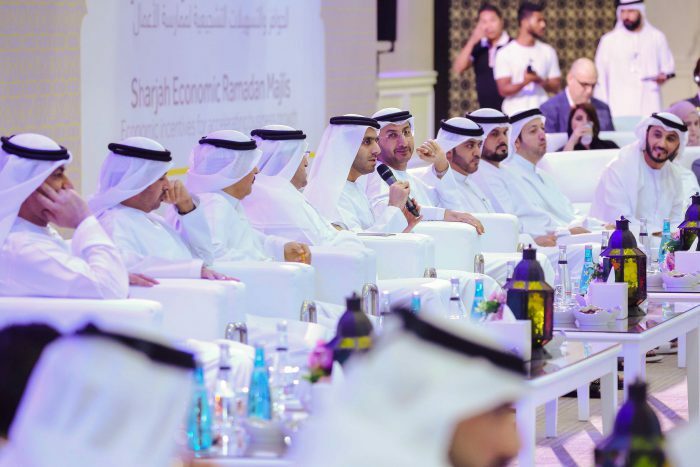 HE Marwan bin Jassim Al Sarkal, Chairman of Shurooq, said: “The Ramadan Economic Majlis is a significant annual event through which we predict the latest solutions and mechanisms aimed at developing our local economy and boosting its ability to keep pace with global economies. 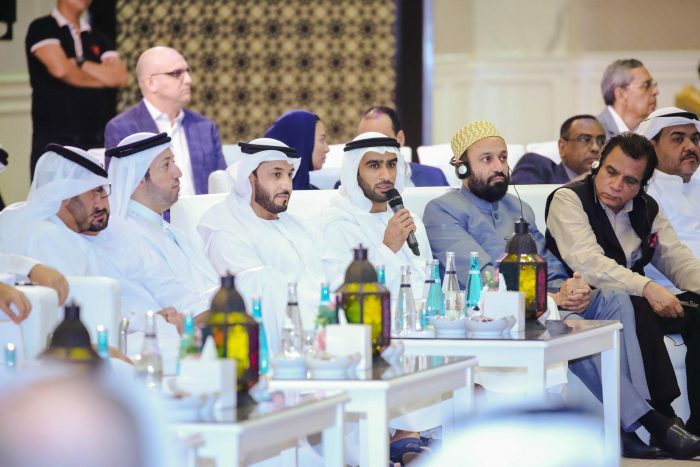 “I believe that our continued cooperation with the various government bodies in Sharjah has enhanced the role the Ramadan Majlis plays as one of the most successful domestic economic events,” he added. 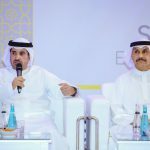 Al Sarkal continued: "Every year the Ramadan Majlis gives us the opportunity to discuss the emirate's investment experience. 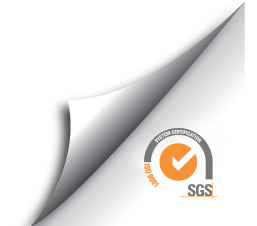 We aim through such an event to constantly look for the implementation of the latest strategies that meet the aspirations and concerns of investors in various fields. We will continue to collaborate with our partners to provide further actions that facilitate the setting up and managing of a business so that Sharjah will remain one of the most appealing investment destinations." 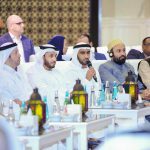 The panel discussion was wrapped with key recommendations and futures strategies which Sharjah can implement to further strengthen its economic edge, with Majlis speakers HE Dr. Khalid Omar Al Midfa, HE Hussein Al Mahmoudi, HE Waleed Bu Khatir, and numerous leaders from state entities in the emirate leading discussions on legislations, policies and business regulation which Sharjah can benefit from in light of the emirate’s recent business growth and achievements.